BuyHTTP Review 2019: Is BuyHTTP a Good Hosting? BuyHTTP was founded in 2003 in New Jersey with the aim of providing website hosting services to individuals and businesses across the U.S.A. Their hosting solutions include shared hosting, reseller hosting, and cloud hosting. BuyHTTP is a web hosting company based in New Jersey, U.S.A. The company was founded in 2003 by business partners Michael Morris and Doyle Lewis. This privately held hosting provider has grown its hosting solutions to include shared hosting, reseller hosting, and cloud hosting as well as dedicated and virtual private servers. Today, BuyHTTP has more than 5,000 customers that include small and medium-sized businesses. 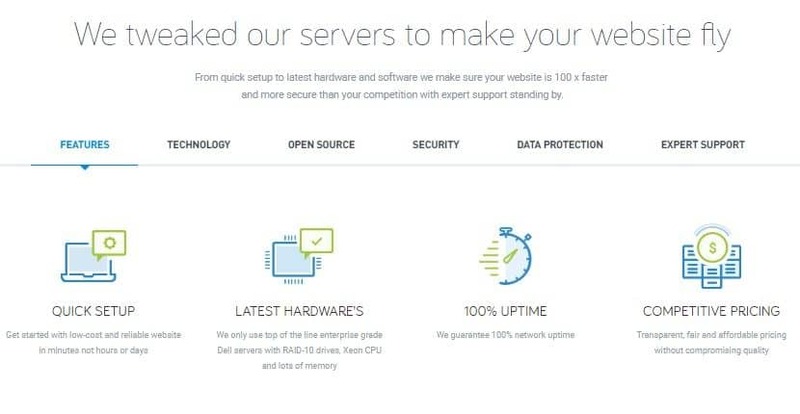 BuyHTTP’s servers use top-of-the-line enterprise-grade Dell servers with Xeon CPU, RAID-10 storage, lots of memory, and the Nginx high-performance load balancer for improved website loading speeds. The Nagios monitoring system proactively checks the services on your server for optimal performance. It provides complete monitoring of all the critical infrastructure components such as applications, system metrics, operating systems, network protocols, and network infrastructure. This increases server availability and ensures fast detection of protocol failures and network outages. BuyHTTP uses the Imunify360 all-in-one security system that protects clients’ websites against the newest and most sophisticated attacks. This next-generation security solution is powered by Al and includes advanced IDS/IPS, firewall, malware detection and removal, reputation, and patch management with KernelCare. It will actively monitor your server and all modified or uploaded files against a database of known exploits, automatically quarantining them and preventing hacks before they happen. This vendor backs up your website four times a day and allows you to keep as many restore points as you need. There is no minimum number of files that you can restore, so you can restore just a single file if you want. BuyHTTP uses their own easy-to-use control panel that allows you to easily install SSL certificates and create email accounts (among other things). Users who prefer popular control panels like cPanel and Plesk might have a hard time adjusting to this vendor’s self-designed user interface. However, users who do take to the home-grown control panel will also love the platform’s seamless CloudFlare CDN integration. They have made it very easy to enable CloudFlare CDN with a single click from the control panel. The BuyHTTP hosting platform supports all major PHP versions including PHP 5.4, 5.5, 5.6, 7.0, and 7.1. Most of BuyHTTP’s reasonably priced hosting plans include an array of ‘unlimited’ features including storage, bandwidth, emails, and subdomains. They also include a free domain, free migration services, and a 30-day money-back guarantee (excluding SSL certificates, dedicated servers, and domain registration) that allows you to try before you buy. If the latter does not provide sufficient reassurance for you to commit to an annual plan, you can pay on a month-by-month basis until you’re sure. Like most other vendors, BuyHTTP does not refund customers for any unused bandwidth. While they claim to provide 100% network uptime, they seem to shy away from backing it up with any kind of compensation plan. You can reach this company’s customer support team via telephone, ticket, email, live chat or social media such as Facebook. The technical support desk is available 24/7, and they are extremely responsive: responding to nearly 95% of customer tickets within ten minutes. The knowledge base is packed with a large collection of articles, videos, and FAQs. BuyHTTP has the experience and expertise to provide satisfactory solutions for businesses that need shared hosting, VPS, and dedicated server solutions anywhere in the United States. Wondering how BuyHTTP stacks up against other Web Hosting companies? Enter any other Web Hosting company and we will give you a side-by-side comparison.